How do I find the perfect gift? Think about what activities your recipient would love to do and then browse through the experience categories most similar to these activities. Are there any restrictions that need to be considered before purchasing an experience? Certain experiences have specific requirements for participation; such as age, height, weight, health or other factors. This information is provided on the experience detail pages. Breakaway Experiences does its best to include all restrictions or requirements on each experience detail page; however, we cannot take responsibility for any inaccuracies, so please contact us with any questions if you are unsure of certain restrictions for a specific experience. It is the responsibility of the recipient to comply with all necessary requirements prior to participating in an experience. Cancellations made as a result of the inability to meet the service provider’s requirements are non-refundable. Is my personal information safe when shopping? I want to give an Experience as a gift. Do I need to book a date for the Experience now? No. The recipient of your gift experience will call the experience provider after they have activated their experience on Breakaway Experiences’ website. Instructions on how to book are included on the experience certificate they received following activation. Are you and all your Experience Providers insured? Yes. Breakaway Experiences and all of our providers have the correct insurance in place. Is there an expiration date for my Breakaway Experiences’ Experience Certificate or Gift Certificate? Your Breakaway Experiences’ Experience Certificate is valid for 1 year from the date it was purchased. Following the 1 year period, your Experience Certificate can be extended by contacting Breakaway Experiences at customerservice@breakawayexperiences.com. We will be happy to extend the value of your certificate. You will only be responsible for paying the difference between the value of your certificate and any increase in the price of the experience. 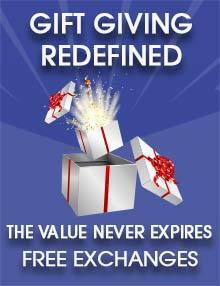 Breakaway Experience Gift Certificates do not have an expiry date. Can I combine multiple gift certificates? Yes. At checkout there is a field for entering your gift certificate number. You can enter multiple gift certificates, one at a time, and their value will be applied towards the purchase of an experience. The total value of the gift certificates you wish to combine will be totaled, and can be used towards the booking of any experience. What if I book an experience that is less in value than my certificate? Any remaining value will remain on your certificate. Can I exchange the experience I’ve been given for another one? Yes. You can exchange the experience you have been given for a different one prior to activating your experience certificate free of charge. After you have validated your gift experience by entering the 4 digit code on the certificate you received and registering a Breakaway Experiences account, you will have the option to Activate or Exchange your experience. If you choose to Exchange your experience, a gift certificate equal to the value of the exchanged experience will be emailed to you with 72 hours of your request to make an exchange. I never received my Experience/Gift certificate, can it be resent? If you or the gift recipient did not receive the experience certificate or gift certificate within 10 minutes of submitting the order, please make sure to check your junk mail or spam folders. If the email cannot be found in any of these folders, please contact us through our online form on the Contact Us page or call 1-800-813-8412. What happens if my booked experience is cancelled? If your experience is cancelled by the experience provider, they will arrange to re-book you at a mutually convenient time. We strongly recommend telephoning the experience provider before you travel, to make sure that your booking will go ahead. We cannot be held liable for any costs incurred in the event of a booking being cancelled. Are any of the Experiences seasonal? Yes, many our Experience Providers operate seasonally. Where this is the case the seasonal period will be listed on the relevant web page. If, by the time of booking an actual date for your experience, the season has passed or all remaining dates are fully booked you will be able to apply the value or your experience certificate to the experience in the future. We regret that we are unable to provide refunds in circumstances where a lack of availability is caused by a delay in a certificate holder requesting a date for their experience. How can I contact Breakaway Experiences? Reaching us by email is the quickest way for a response. Please fill in the form on the Contact Us page. You can also call 1-800-813-8412 to reach us with general inquiries.